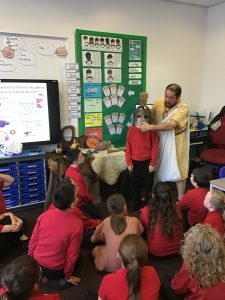 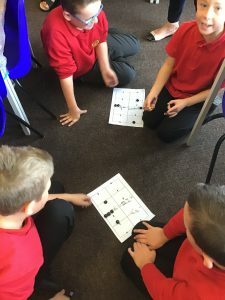 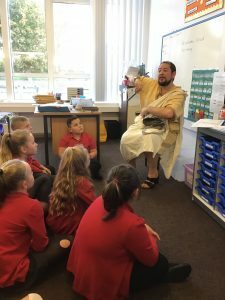 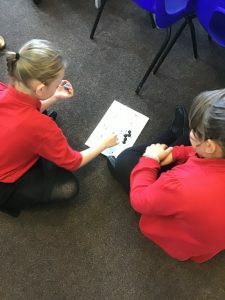 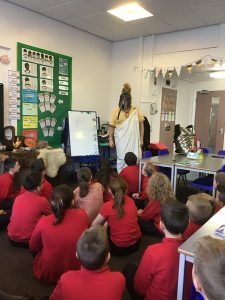 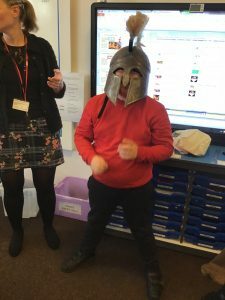 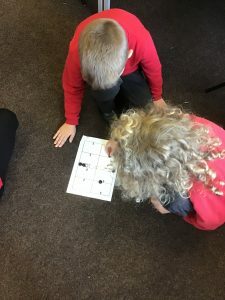 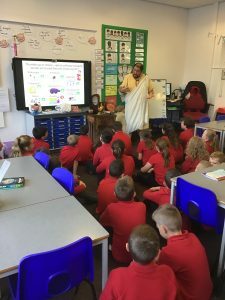 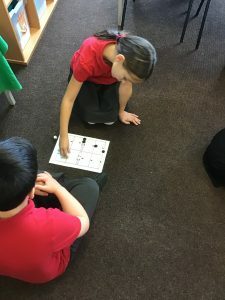 Year 5 had a fun-filled morning when Richard came to visit. 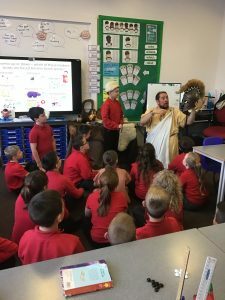 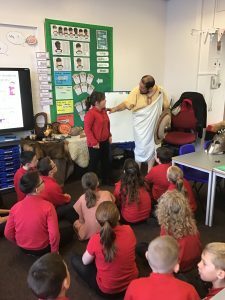 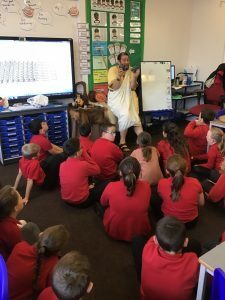 He brought the Ancient Greek world to life! 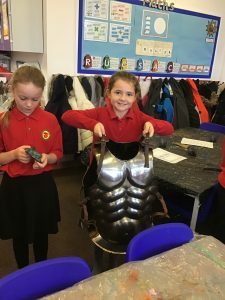 Anna: It was very interesting. 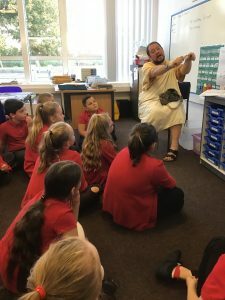 Hubert: It was a good time for knowing more about Ancient Greece and what they had. 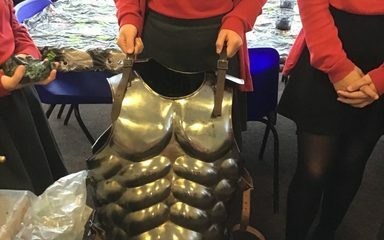 Arin: It was tiring when you had to carry the armour. 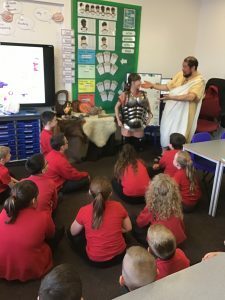 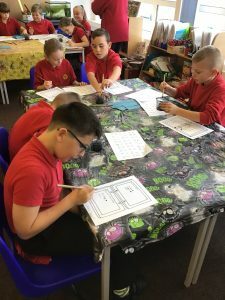 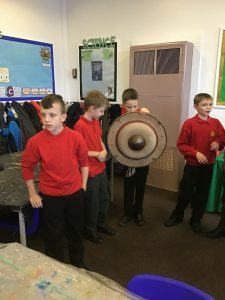 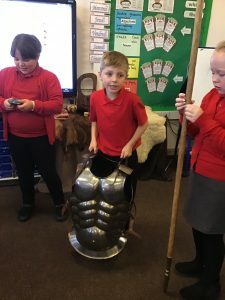 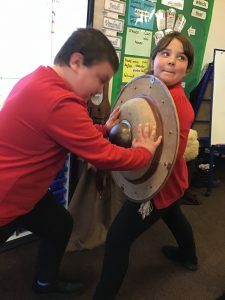 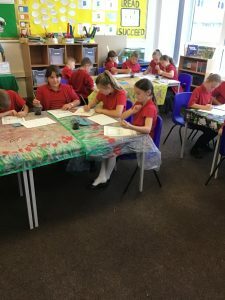 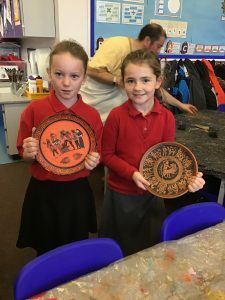 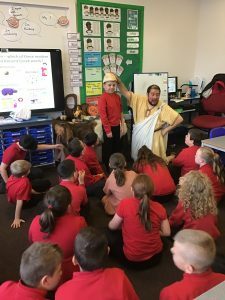 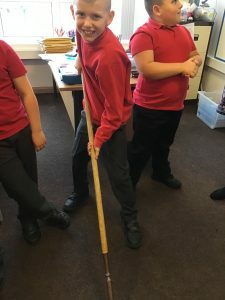 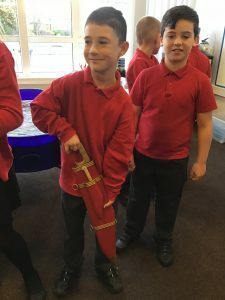 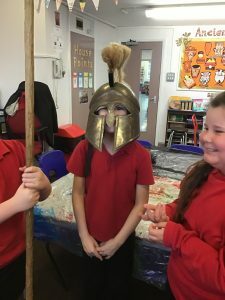 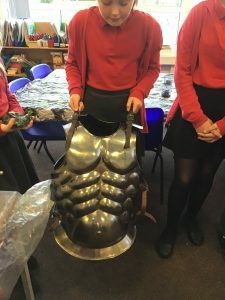 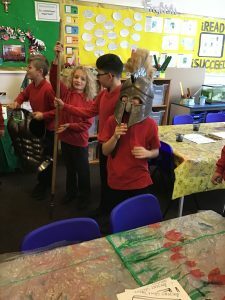 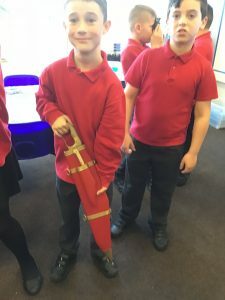 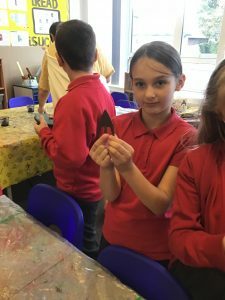 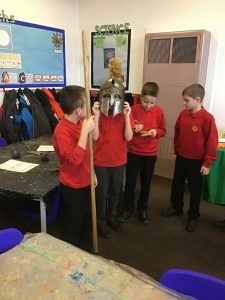 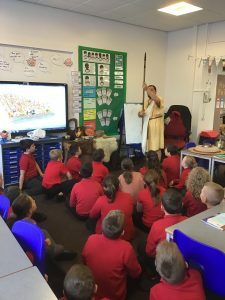 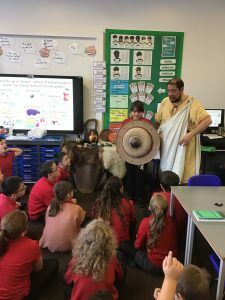 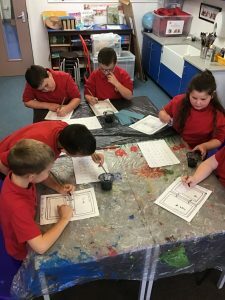 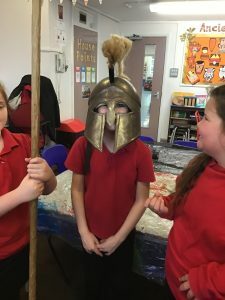 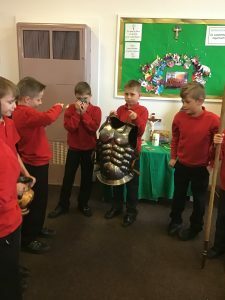 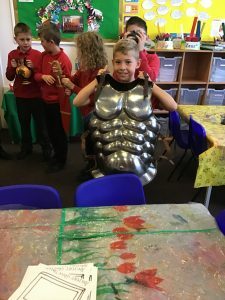 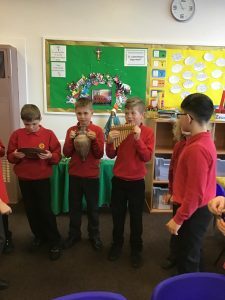 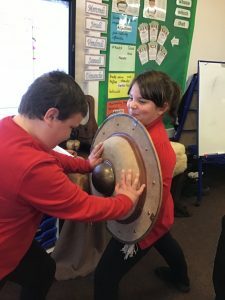 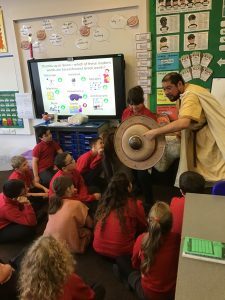 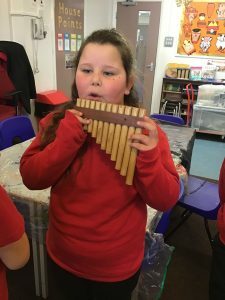 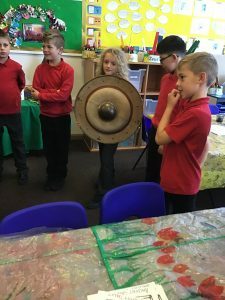 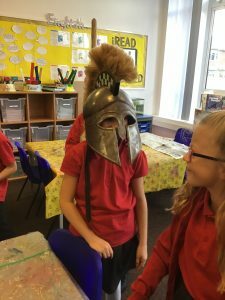 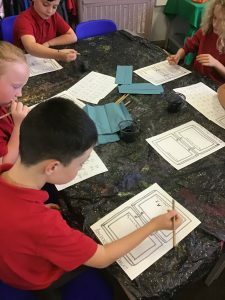 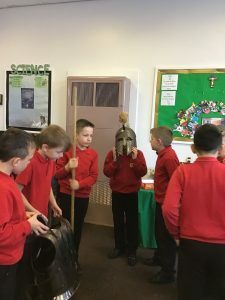 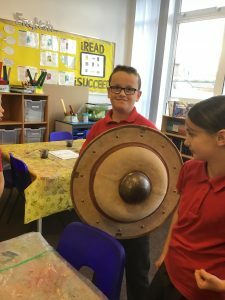 Summer: We learned all about the Ancient Greeks and we also learned about the weapons and how they were used.